In 2012 four teachers of Aikido got together to share their Aikido with a group of students and teachers from all over the country at Two Cranes Aikido in Seattle. The result was an amazing three days of training representing some of the most innovative approaches to Aikido anywhere now available as Aikido training videos (as downloads and physical DVDS). Kevin Choate, Dan Messisco, Kimberly Richardson, and George Ledyard each taught three classes, presented here in their entirety from AikidoDvds.Com. The late Kevin Choate Sensei, Aikido 7th Dan, was one of the senior students of Mitsugi Saotome Sensei. He spent his entire adult life pursuing his Aikido training and in his last few years his cross training in Systema gave him a unique perspective on Aikido practice. 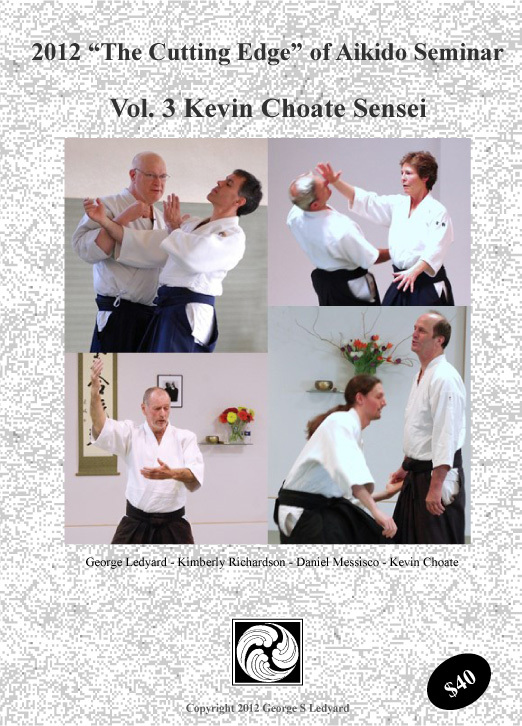 This is the only commercially available Aikido training video of Choate Sensei’s teaching. One half of the profits from sales of this Aikido DVD is donated to his old dojo, the Chicago Aikikai.